The 2018-19 school year has started fresh here at Century High School, and so have some new rules and policies. But it seems that the newly introduced rule that got the whole school talking was the lanyard policy. 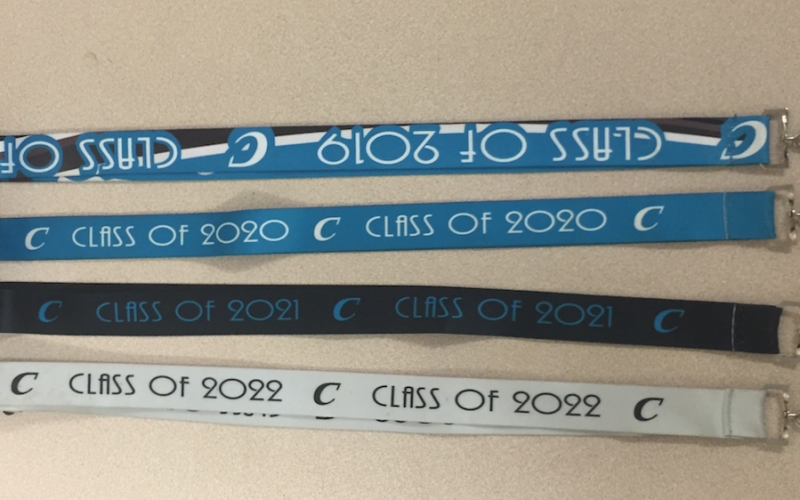 Starting this year, Century students are required to wear a lanyard with their student ID attached at all times. The safety policy will be enforced for the entirety of the year for students and teachers. Within the month or so that we have been in school, lanyards have been quite a big deal. Opinions have mostly been divided into just two; you love them or you hate them. Those who are in favor of the lanyards have argued that they improve the safety of students, while the opposing students argue about inconvenience of them. Teachers are reminding students to wear their lanyards everywhere they go. But lanyards can’t be worn in just any way, it must be in the required manner; over the neck, in between the shoulders and waist with your student ID attached to the end and visible. Due to this, there has been some backlash with the students who are on the opposition side of the lanyards. Mercedes Ferris, a junior at Century, takes a stand -with a majority of other students- that the lanyards can be inconvenient at times. She told me that one Monday morning she didn’t bring her lanyard to class and was sent to the office by her teacher. “There was probably around 20-30 people in the office waiting to get their lanyards, and we missed a lot of class while waiting,” she adds. The replacement lanyards -that they hand out in the office- are black and white student ID’s with a blue string attached to it. Despite the backlash, some students remain to have a positive look on the lanyard policy. 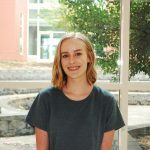 Lizzy Bou, a Century sophomore and member of student government, shares her opinions on the ID’s. After getting some opinions from some students, I decided that it was time to interview the one person who knows about it all- Ms. Guise. Sitting across from me, I was eager to hear what Ms. Guise had to say. I started with the question I was most curious about; have there been any serious punishments with the lanyards so far? It seems that several students have been wondering what led up to being required to wear identification. What led to the decision on lanyards? Was it influenced by other schools? According to Guise, Glencoe High School started to enforce wearing identification mid of last year due to an incident with non-student intruders. Administration is staying “as positive as possible” as they remind students to wear their lanyards. Security, along with Ms. Guise, have been handing out candy such as Tootsie Rolls, bubblegum, and Jolly Ranchers to groups of students in which they notice continuously wearing their identification around school. Creating a positive atmosphere with students when as you ask them to alter their attire is essential. It seems clear that Century has a tight grasp on that. The lanyards will continue to be enforced throughout the years to come at Century. Safety is continuing to become more and more advanced and Century is currently working on some new improvements in the future. *update* We have been told by Ms Mosqueda that personalized (i.e. store-bought) lanyards are now being allowed. Parking Lot Fraught with Problems? In this day and age safety is key at all schools. It seems like the lanyard rule was part of an overall plan to keep students safe, which is important for all. Good job CHS.